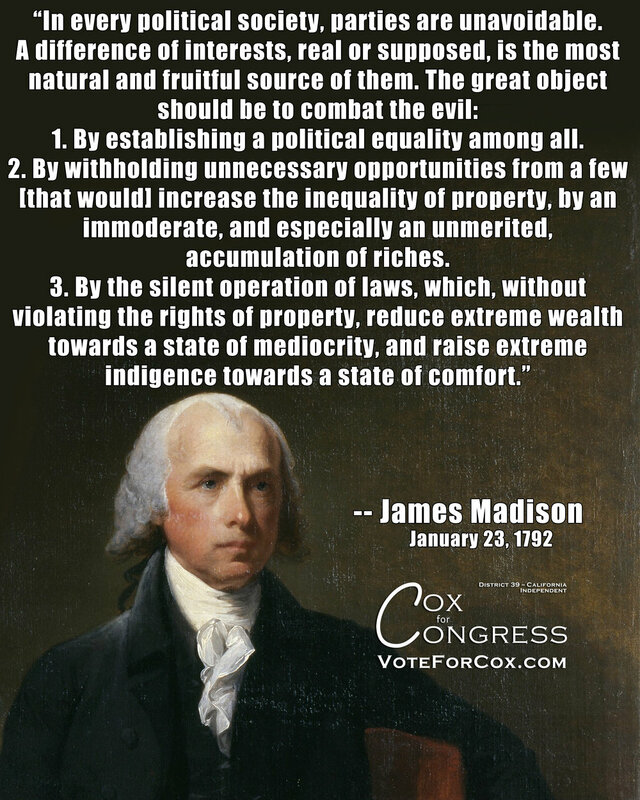 James Madison on the problem with political parties. 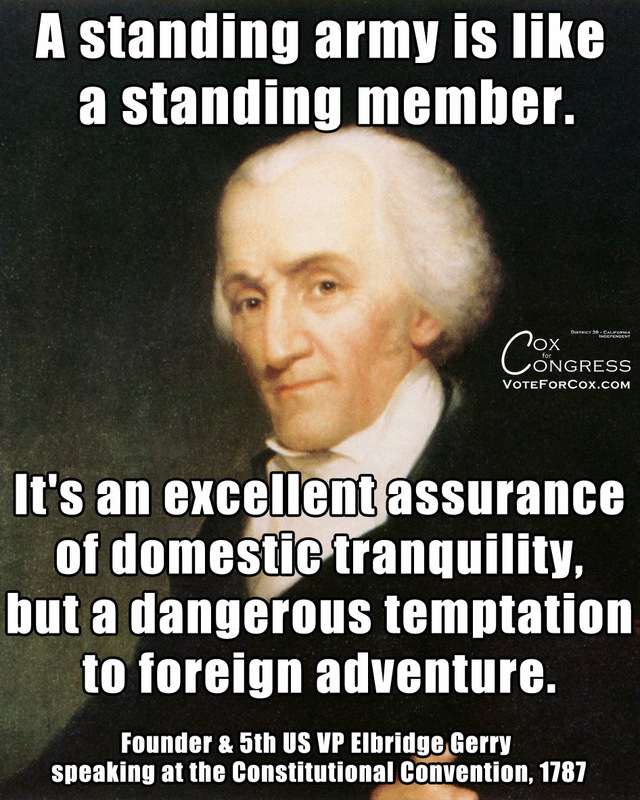 Thomas Jefferson on being proud of not using his position as the president of the United States to become any wealthier. In fact, he died broke. This is still necessary, it's just that now we have to overturn or side-step the disastrous Citizens United Supreme Court decision in order to do it. But it has to be done. 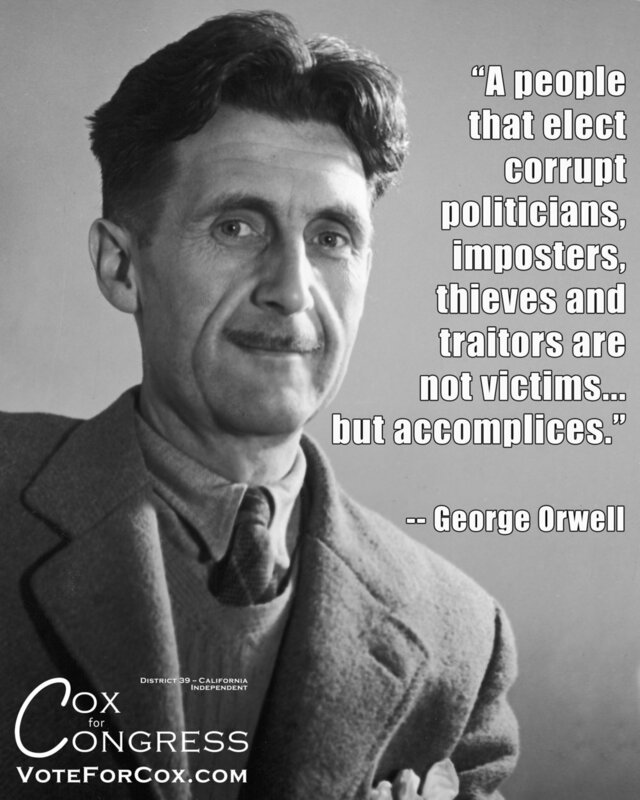 Author George Orwell on the responsibility we must own by continuing to elect corrupt politicians to office. The man on our largest denomination of currency in print proposing a form of socialism, before there was such a thing as "socialism." 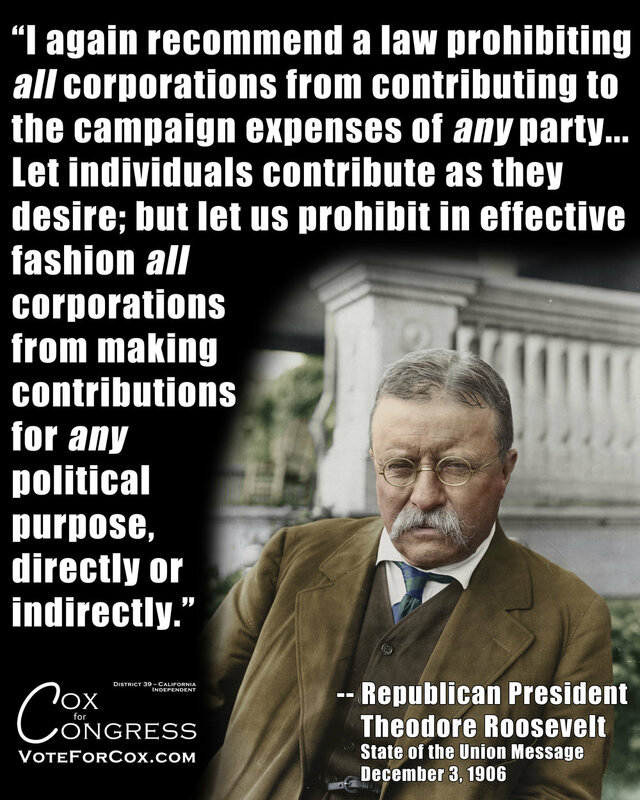 Teddy Roosevelt was the principal politician fighting against corporate greed during the last Gilded Age. We're in a new Gilded Age today. 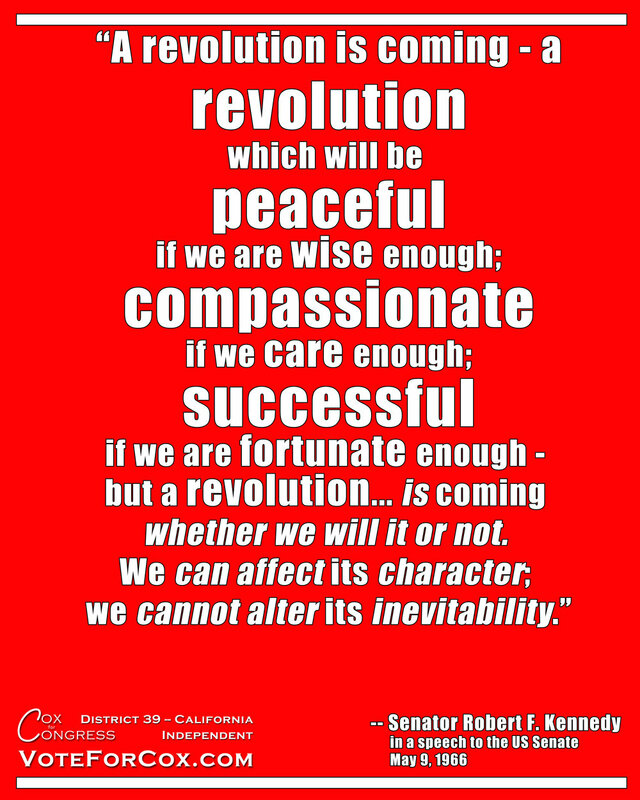 Part 1 of 2 of Teddy Roosevelt's speech as he ran for president as the head of a third party known as the Progressive Party, also known as the Bull Moose Party. Journalist/Satirist H.L. Mencken predicting the future. James Madison on what happens to our liberty during times of constant warfare, including how it makes wealth inequality worse. John F. Kennedy discussing the responsibilities of citizenship, and the right to bear arms as among said responsibilities. Both of our major political parties today work on behalf of the rich only. Thomas Jefferson proposing a graduated tax. Supreme Court Justice Robert Jackson in his decision regarding the forcing of people to take part in patriotic celebrations, such as standing for the National Anthem (think: Colin Kaepernick). I always feel it's an interesting fact to point out the political parties of historical figures such as Theodore Roosevelt, because it shows how far things have shifted over time. He was a Republican at this time. Franklin D. Roosevelt's VP from 1941-1945 was, soon after this, removed from being FDR's running mate for re-election by the Democratic Party at the Democratic Convention in July of 1944, because he was "too progressive" and "too friendly with labor" to be next in line to the presidency as FDR's health continued to decline. He was replaced by Harry Truman, who was deemed more conservative and more friendly to business interests.